NHS England is currently in a consultation process, with the clear aim of abolishing prescriptions of Homeopathic and Herbal Medicines. You are not powerless, there are several things you can do, including writing to your constituency’s MP. Unopposed, this could see the NHS abolish prescriptions of all Homeopathic and Herbal medicines. 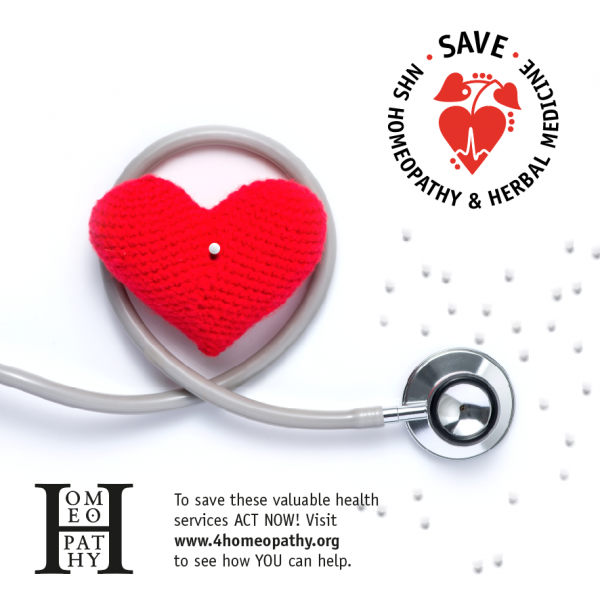 There’s nothing new about homeopathy – it’s been around as a recognised system of medicine for centuries – but with a 21st century awareness of how everything is connected, people who care about well-being are rediscovering this gentle, trusted and proven route to health. According to NHS England’s website, “Patient choice is at the heart of the NHS.” Yet NHS England is now proposing to deny patients the only natural health choices in treatment they can receive. When used appropriately natural therapies are extremely safe, producing very few side-effects. Costs in the NHS for adverse drug reactions are estimated at £466 million -more natural treatments are needed not less. Homeopathy helps the NHS’s spiralling drugs’bill and removing it will only increase prescription costs. Doctors in the UK, and throughout Europe, who practice homeopathy have reported lower prescribing costs. Most importantly, share this information with your friends!